If you find yourself having to fly locally or internationally a lot, then you’d best get with a frequent flyer program. As the name suggests, these programs offer benefits for those who fly frequently, so long as you fly with the same airline. And the best part is you just have to keep doing what you would have normally done, and that is travel around. Surely, any airline would have something to offer its frequent flyers, but picking the right one to maximize your benefits is a totally different thing. There are a lot of factors to consider, especially if you’re travelling around the world where multiple connecting flights via different airlines are involved. You might end up getting less than you should if you sign up for the wrong one. Of course, giving a list of frequent flyer programs all over the world wouldn’t work. 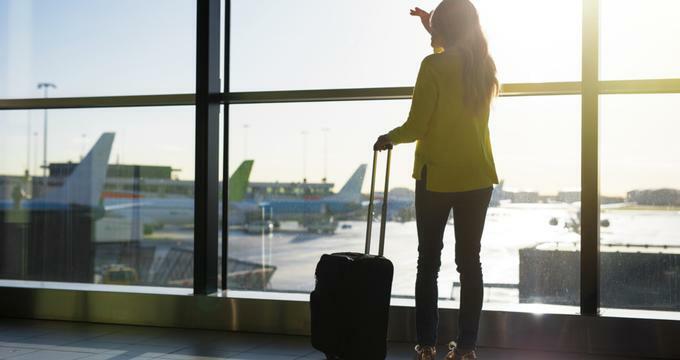 Different passengers have different needs so you’re going to have to learn what you want to ultimately decide which frequent flyer program is good for you. Before anything else, it’s also important to talk about another concept - airline alliances. These are essential to choosing the right frequent flyer program since your airline of choice will affect which other airlines you’ll be flying around the world with. This, in turn, will affect your frequent flyer program of choice. There are three major airline alliances in the industry so far, namely Star Alliance, OneWorld, and SkyTeam. Each of these alliances have between 15 to 27 airlines that connect with one another to bring passengers to thousands of destinations all over the world. Alliances are able to give passengers an easier time booking their flights because they function under the same reservation systems. Flight times are also reduced overall and operations become more efficient, which in turn allows for cheaper flight costs. More importantly, many frequent flyer programs allow their rewards to be accumulated across member airlines of the same alliance. This means you reach those high mileage rewards much faster, especially if you’re taking connecting flights around the world. As far as airline alliances are concerned, Star Alliance was the first to make it big and remains to be the biggest today. It started out with five major airlines back in 1997, namely Air Canada, Thai Airways, Lufthansa, United Airways, and Scandinavian Airlines. Star Alliance had the goal of taking passengers to every major destination around the world – a goal which led it to expand to 27 airlines. This eventually opened flight paths to various other destinations all over the world, with Copa Airlines covering South America, Air New Zealand and Ansett Australia flying to Oceania, South African Airlines connecting all of Africa, and more. The alliance has also brought in major providers in the airline industry such as Air India and Air China. Today, Star Alliance runs 20,000 flights per day and covers 1316 destinations across 192 countries all over the world. Star Alliance has the following members: Adria Airways (Slovenia), Aegean Airlines (Greece), Air Canada, Air China, Air India, Air New Zealand, All Nippon Airways (Japan), Asiana Airlines (South Korea), Austrian Airlines, Avianca (Colombia), Brussels Airlines (Belgium), Copa Airlines (Panama), Croatia Airlines, EgyptAir, Ethiopian Airlines, EVA Air (Taiwan), LOT Polish Airlines, Lufthansa (Germany), Scandinavian Airlines, Shenzhen Airlines (China), Singapore Airlines, South African Airways, Swiss International Airlines, TAP Portugal, Thai Airways, Turkish Airlines, United Airlines (United States). Next on the list of major airline alliances is Oneworld, which was launched two years just after Star Alliance. This one started out with members who were already quite established in the industry such as American Airlines, Qantas, and British Airways, and soon followed by FinnAir and Iberia, two highly regarded European carriers. Of course, the alliance continued to grow. LanChile opened paths to Latin America, while carriers like Malaysia Airlines and Japan Airlines have given access to Asia. Royal Jordanian also joined the alliance, making it the first Middle Eastern carrier to join one. Oneworld looks to establish a relationship with frequent international flyers, especially those in the business world. Today, it flies to almost 1000 destinations across 150 countries. Based in Park Avenue, New York, this alliance caters mainly to business clientele, compared to its rivals. Oneworld is an alliance of 15 members, namely: Air Berlin (Germany), American Airlines, British Airways, Cathay Pacific, Hong Kong, Finnair (Finland), Iberia (Spain), Japan Airlines LAN Airlines, (Chile), Malaysia Airlines, Qantas (Australia), Qatar Airways Royal Jordanian, S7 Airlines (Russia), SriLankan Airlines, and TAM Airlines (Brazil). This one’s the youngest of the three, founded a bit later at 2000. The alliance started out with four airlines that offered a broad coverage of the major air travel destinations of the world. These four were Air France, Aeromexico, Korean Air, and Delta Airlines. Since then, the alliance grew quickly, adding Garuda Indonesia, China Airlines, Kenya Airways, and Saudi Airlines into the mix. The Dutch carrier KLM, the oldest airline of the world, is part of SkyTeam as well. The alliance even surpassed Oneworld’s 15 members, since SkyTeam eventually got 20 airlines taking passengers to over 1,064 destinations across 178 countries. Today, SkyTeam serves 588 million passengers each year. SkyTeam’s members include: Aeroflot (Russia), Aerolineas Argentinas, Aeromexico, Air Europa (Spain), Air France, Alitalia (Italy), China Airlines (Taiwan), China Eastern Airlines (China), China Southern Airlines (China), Czech Airlines, Delta Airlines (United States), Garuda Indonesia, Kenya Airways, KLM (Netherlands), Korean Air (South Korea), Middle East Airlines (Lebanon), Saudia (Saudi Arabia), TAROM (Romania), Vietnam Airlines, and Xiamen Airlines (China). No doubt that joining an alliance has a lot of benefits. Whether you’re speaking of efficient flight paths, reduced flying costs, and flexible frequent flyer points, you just can’t go wrong with being part of a single airline alliance. There are, however, certain airlines that prefer to go at it alone. These are usually the carriers that have a special niche or have a very specific airline policy. For instance, Hawaiian Airlines is the only airline in the U.S. to fly between its islands, which mean that it doesn’t really need to join any alliance given that it has a lot of passengers to deal with already. Some budget airlines like EasyJet and RyanAir also cannot fit within the standards of airline alliances since these have business models that focus on low cost services. Other airlines that have set themselves apart from others include Virgin Atlantic, Etihad, and Emirates. From the United States, these are the independent airlines: Alaska Airlines, AirTran Airways, Hawaiian Airlines, Frontier Airlines, Southwest Airlines, JetBlue, Spirit Airlines, and Virgin America. Now that you know which airlines and airlines alliances you can choose from, how do you decide which one is best for you in terms of frequent flyer programs? The first thing you’re going to want to look at is your own preference. You may have an airline that you’ve always loved flying with, and chances are, you’re going to like their frequent flyer program as well. After all, the quality of the airlines comes first - if you trust the carrier enough then there’s no pointing in risking your flight experience with a competitor just because the latter has a better frequent flyer program. Tip: assuming you already have a preferred airline, try to look into the company’s networks and see who its partner airlines are. You might just be surprised with all the perks you can get by sticking with your favorite carrier. You might also want to get used to checking how many points you’ll be earning from each flight with these partners. The goal is to have a frequent flyer program that gives you the most points with the least effort. This means knowing how the program works and what it takes to get a significant amount of points. You’re going to need to read the programs’ specific guidelines and policies to figure that out, and maybe ask questions. Some important matters to take not of is how points are accumulated, how they’re redeemed, and how long they last (expiry). You’re also going to want to look at how well your membership scales into the long run, such as if they have gold or platinum types of memberships and what they offer. Do they Work Well with Your Credit Cards? There are a lot of frequent flyer programs that give you points when you shop with a partner bank’s credit card. Make sure you’re working with one that allows you to get points by shopping with the credit card that you own and use often. This is an amazing way to boost your points even when you’re not travelling. Note: Alternatively, if you have a preferred airline, you’ll want to get a credit card that works with it instead of switching airlines. Does Your Business Benefit from a Frequent Flyer Program? There are actually frequent flyer programs that are meant for businesses exclusively. These are the kind that provides incentives for business owners who book business trips for their employees with the airline. If you’re an employee of a company, ask your HR or supervisor if the business is already associated with a frequent flyer program. If you’re a business owner, you’ll want to sign up for a program like this so you can get points faster. Are there Special Perks for Membership? Some frequent flyer programs give their passengers free baggage allowance, access to exclusive lounges, additional bonus points, priority with checking in, and even free flights. Consider these perks when picking a frequent flyer program. Don’t hesitate to shop around for the right frequent flyer program for you. If you do your research and consider your circumstances, you’ll find one that will accumulate points the fastest.